Nylse is a Christian wife and a mother of four who loves life and inspiring others. She recently published her first book - My Best Marriage Advice. She likes to have fun but is very clear on who she is and Whose she is. 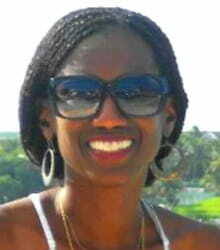 A prolific thinker, she blogs to encourage others from a Christian perspective at www.lifenotesencouragement.com. She can be found online on Instagram, Facebook, Twitter, and Pinterest. I woke up to a messy kitchen - again. I didn't mind the mess as much as the fact that food was left uncovered. At this moment I had a choice: forgive and move on, or become angry and critical. This time I chose the former - to forgive and move on and as I did this, I recognized that within relationships on a regular basis we do things that require forgiveness - often. We say something that seems trivial, we ignore, we forget what was mentioned earlier, and somehow we irritate each other. It's not only with our words; sometimes we're unintentionally inconsiderate. We're not always kind to each other as we should be. Kindness and forgiveness go hand in hand. People will offend, but we can choose to forgive. Don't hold it in until you reach the point of warped thoughts such as, I can forgive, but I won't forget - what's the point? And have you really forgiven? Forgive often and forgive soon. Prayer: Dear Lord, help me to forgive as you forgave. Help me not to let an offense linger but to start small and forgive incrementally. May your wisdom and your love be evident as I forgive. Amen. Reflection: Can you forgive often?